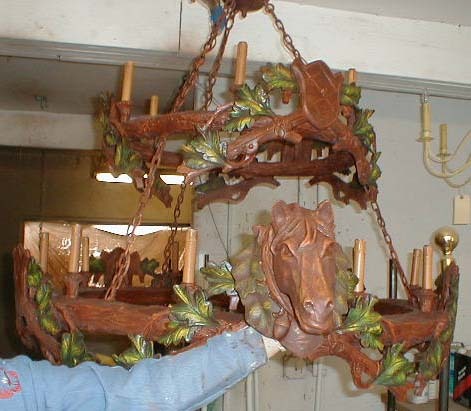 Description: Two tier horse chandelier on ivy with 8 heads. Steel and resin. Shades extra.